Summer doesn’t officially begin until June 20th for most of the country, but here in Boca Raton and the rest of South Florida, the heat is already on! If you’re like us and ready to get out and have some fun this summer, then check out this list of fun and interesting events in Palm Beach and Broward counties. Check out these fun events scheduled to happen this summer in South Florida. What are you most excited to do this year? — Summer in Paradise – 4th on Flagler: One week each month this summer, starting the second Friday in June, the West Palm Beach waterfront will feature interactive art, special events, watersports, along with nightly light shows, glowing games and activities. — National Parks Adventure 3D at the Museum of Discovery & Science: Through September, the museum will feature an exhibit that takes audiences on an IMAX tour of America’s amazing national parks. — Dream Car Classic Car Show: Hollywood, FL, June 5: 10-3 pm: Take dad to an early Father’s Day celebrations of all the cars you both have always dreamed of owning. — Gator Nights Join In Tour: Weston, FL: through September, take a nighttime adventure tour through the Florida Everglades starting at Sawgrass Recreation Park. — All Florida Invitational: Boca Raton Museum of Art: This annual event runs through September and features the art of many talented artists local to South Florida. — July 4th Celebrations: Go outside anywhere in South Florida on the fourth of July and you should be able to see some celebrations. However, Delray Beach is featuring their family-friendly party with live music, kids activities, food trucks, beer garden and, of course, a fireworks extravaganza. — Gwen Stefani in West Palm Beach: July 27: Perfect Vodka Amphitheater: Check out the Voice judge, and former No Doubt frontwoman as she rocks out with the South Florida crowd. — Palm Beach Summer Beer Fest: July 23: Enjoy local craft beer while in the air-conditioned comfort of the Expo Center at the South Florida Fairgrounds. — Craft Beer Bash: Palm Beach Gardens: PGA National Resort & Spa: Also held in the cool air conditioning, this craft beer bash boasts sampling of over 150 different craft beer and ciders. — Drake and Future: August 30-31: The Toronto rapper known for his love song like raps just added a second South Florida date to his tour due to the overwhelming response for the first. — Anywhere with AC: By the time August rolls around here in South Florida, most of us would rather just stay inside in the air conditioning, and that’s okay! 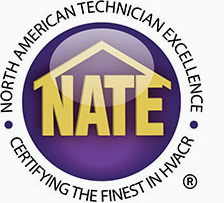 Just be sure your AC system has been maintained, your air filters have been changed within the last month or two and you call for an AC repair as soon as possible to prevent further damage. — Fort Lauderdale Air Show: May 7- 8: 12 pm: After a two-year hiatus, the air show is back in Ft. Lauderdale and will allow spectators to be the first civilians to see the a flight by the F-35 Lightning II Joint Strike Fighter fly alongside the P-51 Mustang, among many other aircraft. — Kentucky Derby Parties: May 7: Tap 42 Boca Raton will host a Big Brims and Fancy Trims Kentucky Derby contest starting at 3:30. The Junior League of Greater Fort Lauderdale will also be partying to the biggest horse race of the year, while the Himmarshee Public House will honor the race with a Hold Your Horses Derby Party starting at 4 pm. — Food Truck Invasion Wellington: every second Thursday of the month, from 5-9 pm, WellingtonAmphitheater is invaded by food trucks. — Memorial Day Commemorative Ceremony in Boca Raton: Monday, May 30, 9 am: Boca Raton Cemetery: 449 SW 4th Avenue Boca Raton, Fl 33432: Featuring Veteran Groups, City Officials, music by Ft. Lauderdale Highlanders, Boca Raton Community High School Band, drills by Boca Raton Community High School NJROTC and the Boca Raton Police & Fire Honor Guard. *More South Florida Memorial Day events can be found here. Have fun and stay cool in South Florida this summer! If you need any assistance with the staying cool part in the form of AC repair, service, air duct cleaning or estimates in Boca Raton, Boynton Beach, Wellington, Weston, and more south Florida cities in Broward and Palm Beach counties, give Palm Air AC a call. 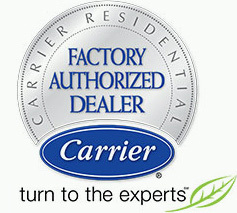 Contact us now to schedule AC service or check out our specials!